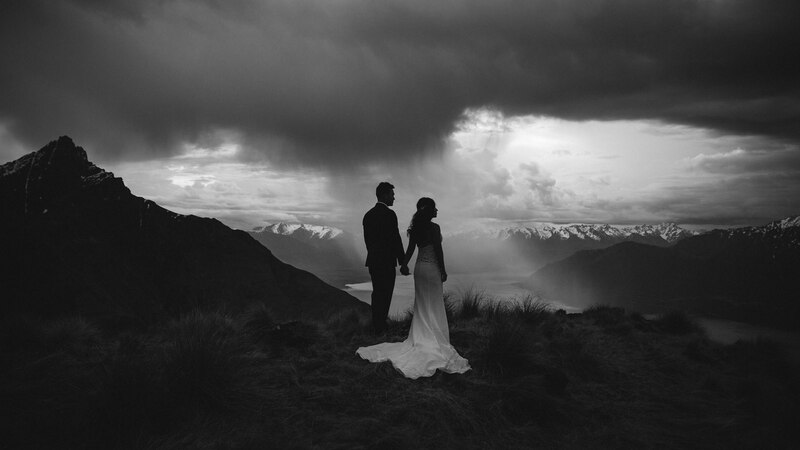 It’s all good looking up at these awesome views and mega mountains that surround our beautiful Queenstown, but have you thought about actually holding your wedding ceremony on top of the view???? 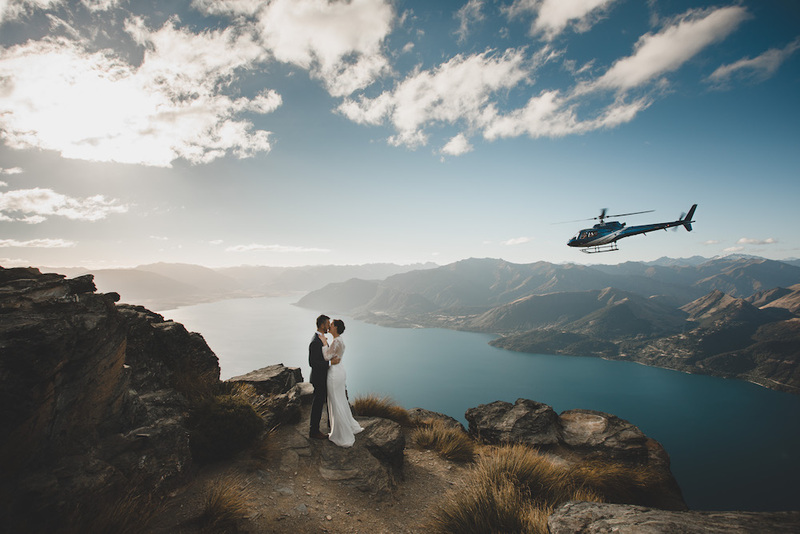 Heli-weddings are fast becoming one of the most popular ways to get wed here in Queenstown and even more so for elopements and intimate wedding ceremonies. 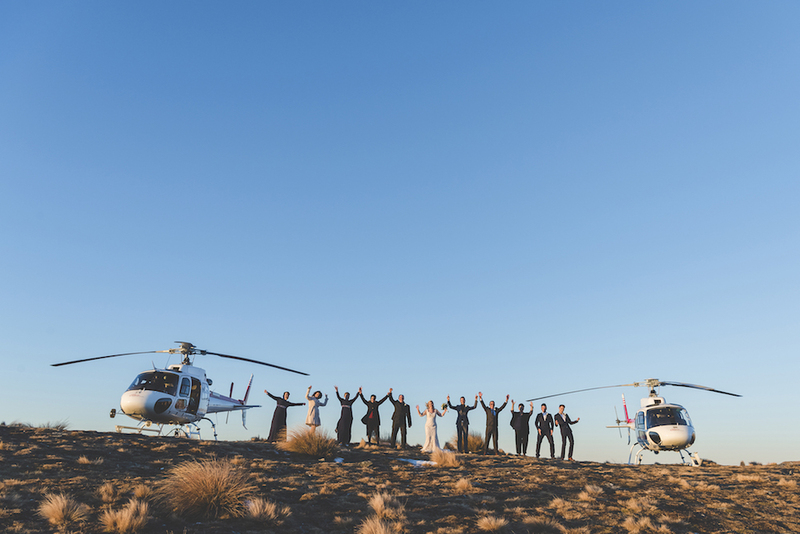 Everyone involved loves a heli wedding, from the pilots, photographers, and the planners to the celebrants – oh and we hope the couples! 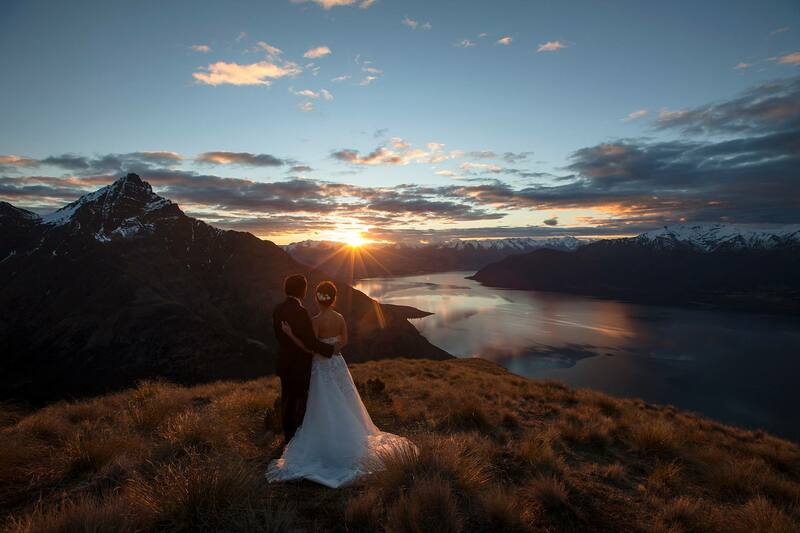 They are a magical experience and will give you some of the most jaw-dropping photos to treasure on your big day. 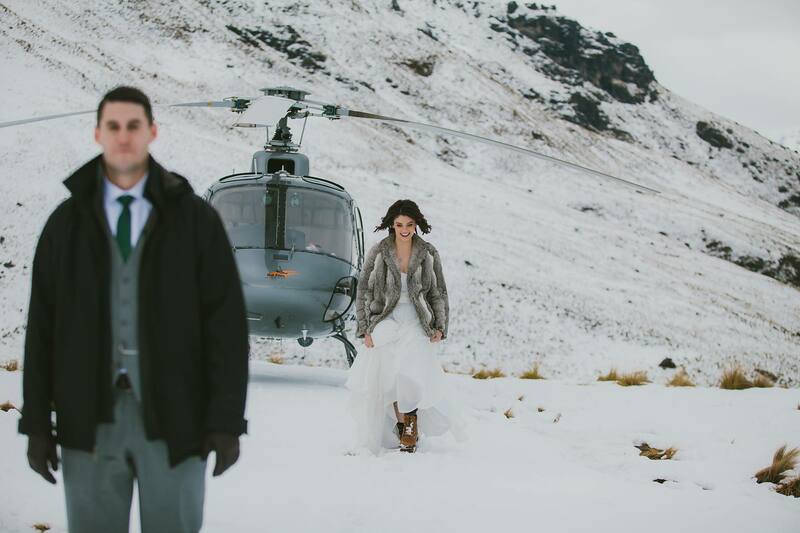 So read on why we think our Queenstown Heli-Weddings are up there with some of the best ways to wed in the world and a few insider tips! 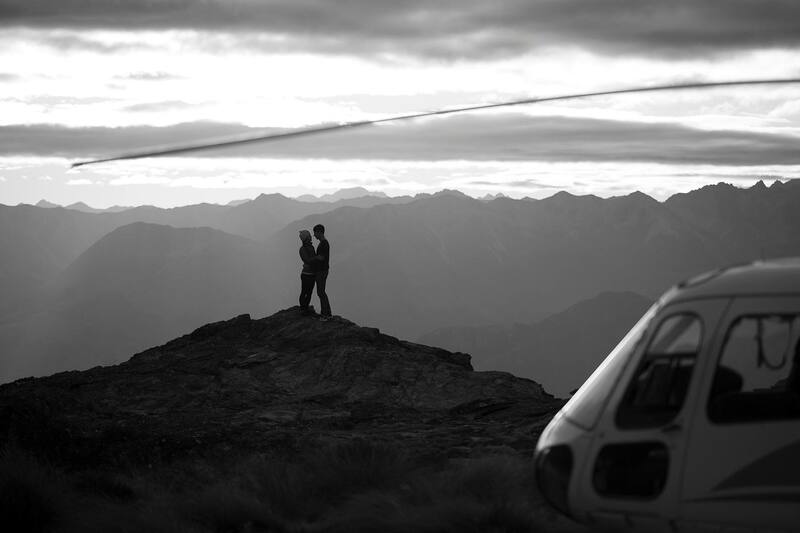 Organisation: Planning a Heli-wedding is probably one of the easiest weddings to plan. Assuming your numbers are relatively small, then apart from arriving at the hangar on time – the rest is out of your control! Even if you are flying up a few extra people, then as long as everyone is suited, booted and checked in – it’s over to the professionals from there! Weather calls: The reason it is so easy is because from here on in, it’s actually mostly up to the Pilot where you fly, weather permitting! (Your photographer might be able to have some input into the landing spot but it is the pilot’s decision in the end). And that goes for the celebrant, photographer and planners! It’s a wee bit like passing the buck, once you’ve had the all clear to fly (and these guys fly in some pretty awesome weather conditions) our professional pilots know all the best spots, sheltered, exposed, views and mountain top hangouts that will make sure your day happens! Witnesses: Remember you need two witnesses – the photographer and pilot can be your witnesses if you are eloping and don’t have guests. Windows to Fly: The larger your window to fly, the greater your chances of being able to fly and having great weather! Remember, helicopter flights are always subject to weather. Although the machines themselves can fly in pretty rugged weather, often in such situations the helicopter company will recommend you postpone as it might not be very pleasant being on top of a mountain in such conditions. If you plan on being in Queenstown for a week, try to schedule your flight as early as possible and be open to postponing if necessary to increase your chances of (a) flying and (b) having beautiful weather. Wrap up warm: It may be the hottest day down on the ground but at altitude it can get a wee bit chilly – especially on a not so nice day! Also think about hair and veils, maybe a ‘hair-up’ option if it’s a windy day and not the kind of veil that could double up as a sail on a super-yacht!!! Location to Venue: Heli-weddings can always start small and then get bigger down on the ground! 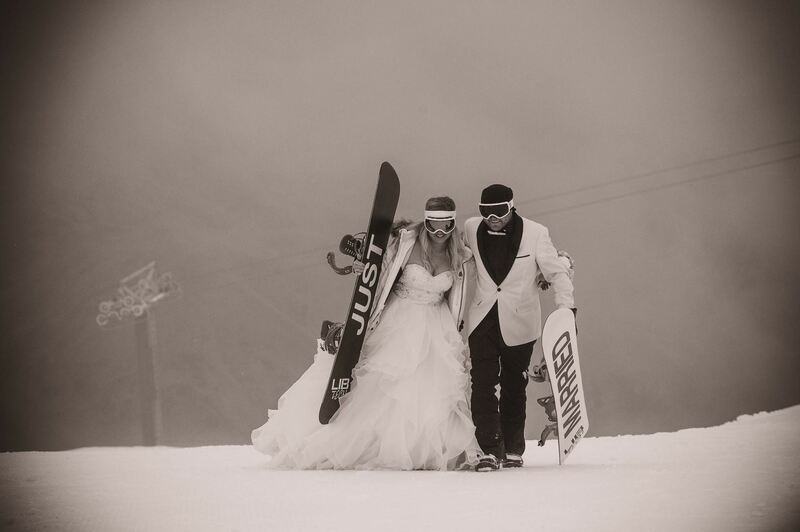 How about having an intimate heli wedding on a mountain-top and then flying to your reception to celebrate with your guests? Queenstown boasts some great venues with their own helipads so you can literally land and party! Trust the professionals and enjoy every minute – it certainly will be an experience of a life-time! 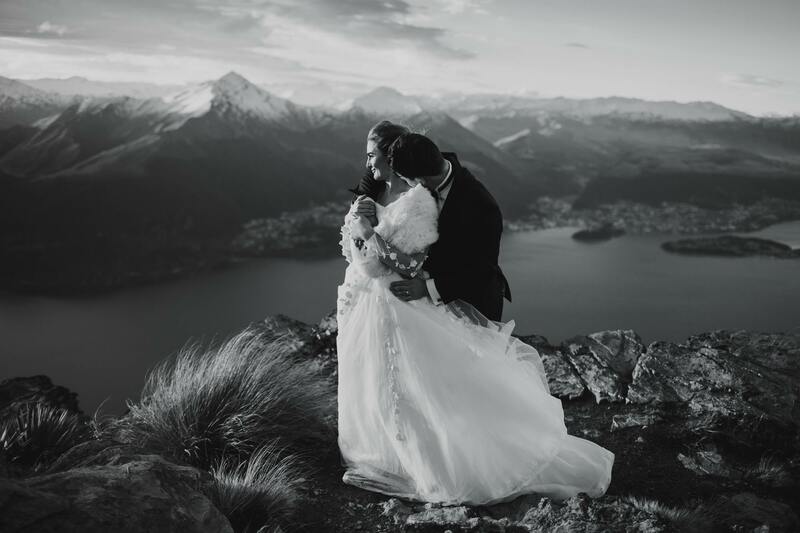 Head over to our Packages/Heli-Weddings page now and start planning your Queenstown Heli-Wedding!